By Patricia Barry Rumble. Based on a Russian folktale "Go I Know Not Whither and Fetch I Know Not What." Original Songs by Rock Barry. 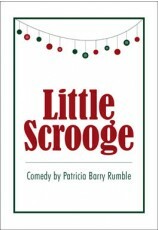 Cast size: 4 to 6 m., 3 to 5 w. Performers may be children or adults. Imagine the characters of the Czar, the Councilor and the Wizard as the Marx Brothers (Groucho, Harpo and Chico) and the roles of Maria and her husband, Andre the Archer, as the love interest, and you've got a funny comedy. 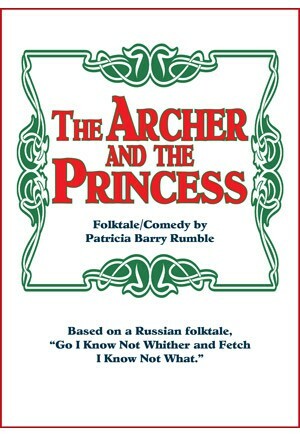 The Czar wants to marry Maria, so to get rid of the archer, the Czar sends him on three seemingly impossible missions: to fetch Croon Cat, the legendary beast of the forest; to go to the Next World to visit the Czar's dead father; and to go there he knows not where and fetch that he knows not what. Also, the Czar is on a Methuselah diet to live to be 200 years old, so he's been eating lots of chicken and is beginning to turn into a giant chicken. And did we mention that Baba Yaga is Maria's long-lost mother and there's a magic rug involved somehow? It's a fun show with many stylized locations and is easy to tour. Audiences of all ages love this comedy. Premiered at Main Street Theater in Houston.